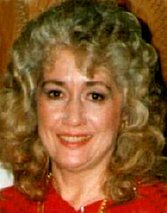 Patricia Jean “Pat” Albright, 78, of Cedar Falls, died Sunday, September 6, 2015 at Bartels Lutheran Retirement Community in Waverly of complications of leukemia. She was born June 4, 1937 in La Porte City the daughter of Guy Mark and Mildred E. (Wilson) Hummel. She was also raised by her step mother Ruth (Ainley) Hummel following the death of Mildred. She was a 1955 graduate of Cedar Falls High School and attended Gates Business College. She married Gerald “Jerry” Albright on July 25, 1959 in Waterloo. Pat was a homemaker and also had worked for two years as a secretary for the City Of Cedar Falls. Survived by: her husband, Jerry of Cedar Falls; five sons, Randy (Laurie) of Janesville, Steve (Cindy) of Sully, Joe (Kim) of Oskaloosa, Mark (Beth) of Ankeny, Kurt of Cedar Falls; ten grandchildren, Dan, Mike, Austin, Haley, Caden, Tristan and Ben Albright, Doug (Melinda) and Eric Slings and Mindy Hornick; two great grandchildren, Emma and Jayson Slings; a brother-in-law, Bruce Fairbanks of Cedar Falls and one uncle, Lloyd (Dorothy) Hummel of Waterloo. Preceded in death by: her parents; her step mother, Ruth and one sister, Marlene Fairbanks.